So if you came up here, it means you are looking for a romantic accommodation in the heart of the historic center of Florence. We think we have achieved what you are looking for, and we think we can meet your every needs. Obviously not ask a cold and impersonal reception worthy of a 4-star hotel. 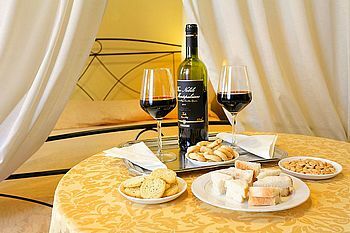 What we can and we want to offer you is a warm welcome in a very romantic place a few steps from the Duomo in Florence.